My favorite part was the number of fan belts lying on the bottom of the box. Anything that was dropped just stayed on the bottom. 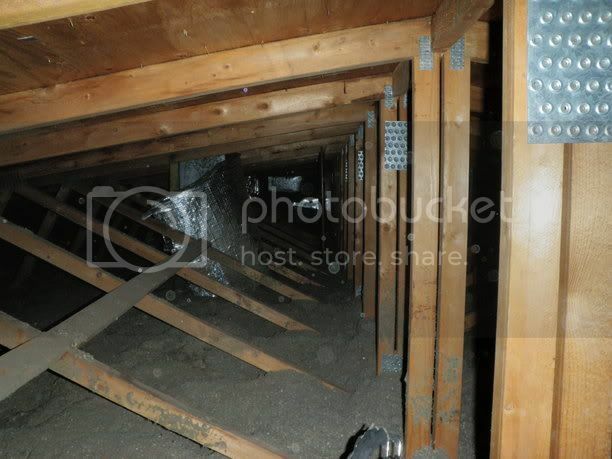 My second favorite part of the job was crawling down a 30 inch high attic with a motor, blower and tools. 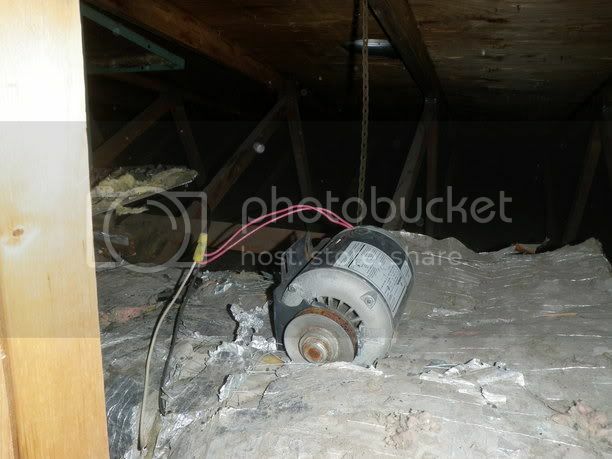 They always seem to stuff those evacuation fans in the worst places for maintenance. It looks like maybe that one hasn�t been running for a while. 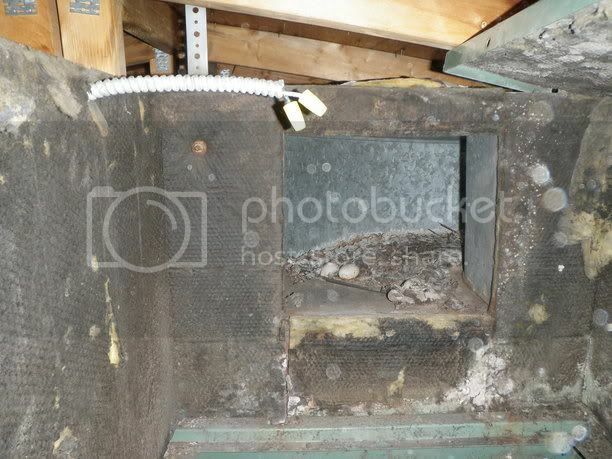 How did Birdzilla get in there to set up shop? 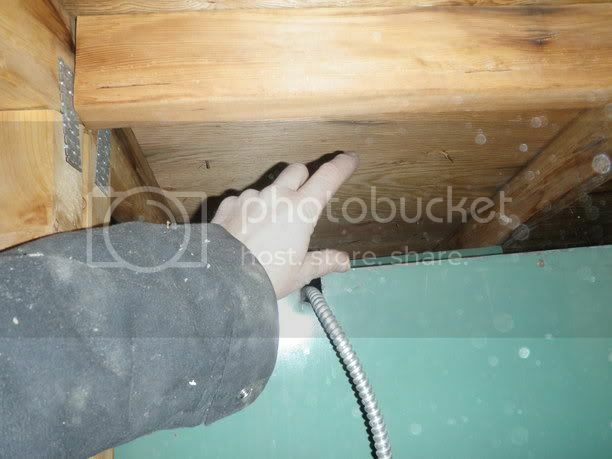 Is it because the exhaust hood or louvers are missing or stuck open? They (I) used to do this crap all the time. 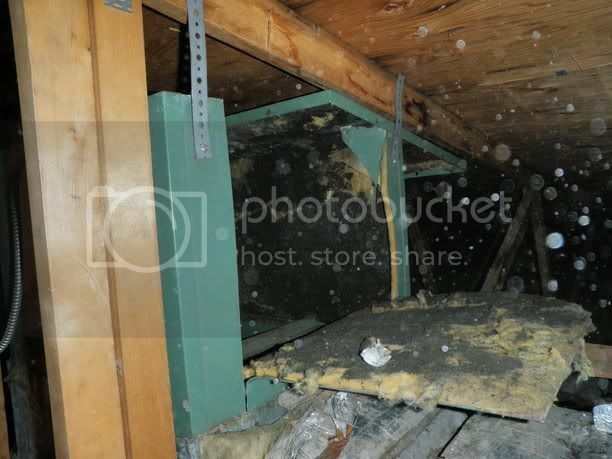 A 30" attic space isn't accesible enough for maintenance of any kind as far as I'm concerned. And I've now crawled in to way more than my share. Someone else can do it.